We have lived in Dublin for over a year now and while the move had it’s challenges, we have come to love our new adopted home. Dublin and Ireland in general should be a place that everyone should visit. And that is not for the pubs and the craic – but more for the place that it is and the people. 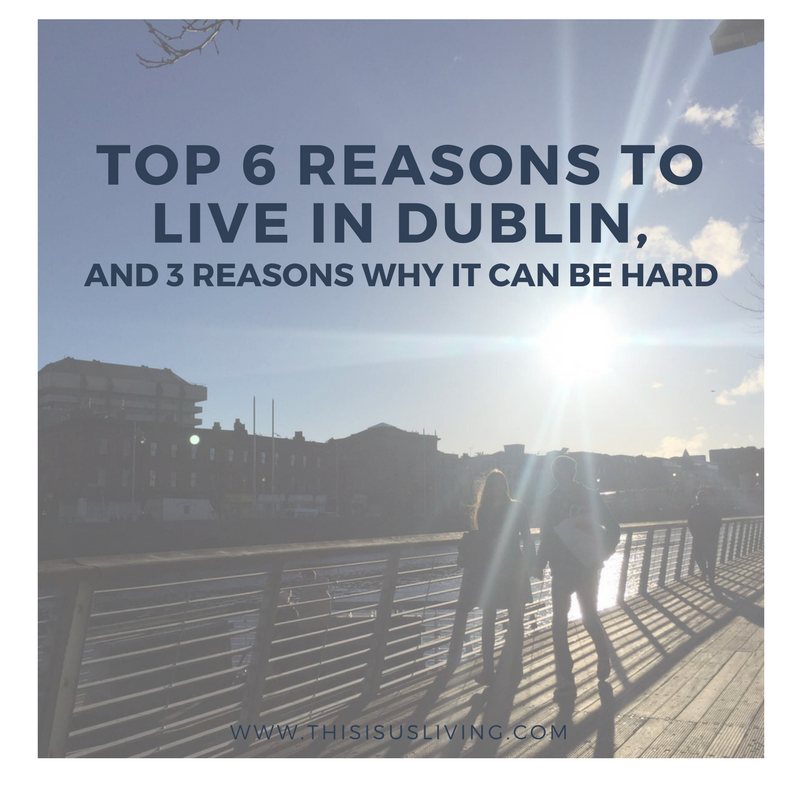 There are many reasons why I think Dublin is a great place to live, but I thought these six reasons best summarise this little city that has a very big heart. It’s a big city but not too big: with just under 1.5 million people living in Dublin, this city is big but its not as over developed and hectic as some other european cities. It’s convenient: you can walk to most places in Dublin and if not, public transport is pretty good. Sure the bus time table might be more a suggestion than accurate all the time but thye recently joined up the red and green luas lines – so it is improving all the time. The Guinness just tastes better in Ireland – Fact: something about drinking a pint of Guinness on Irish soil (this goes for anywhere in Ireland, not specifically Dublin), just makes the pint taste sweeter. Variety: city/ mountains/ beach and the coastal cliffs – all within minutes of each other. everything is very central and convenient to get to in Dublin. Something is always happening: there is loads to see and do here; with tons of history, arts, music, food – whatever your interests, there is bound to be something you like happening in Dublin. It has a mild climate: granted it might not be too hot but it is generally not too cold either. Those are just some of the reasons why we love to live in Dublin, and why Dublin and Ireland have kinda stolen a piece of our hearts. We didn’t realise how good it could be to live in this city, we came over with zero expectations and were so pleasantly surprised by how much we love to live here. Rob cycles to work every day, I take the bus, our local pub has a music eve every week; and Jack loves to run along the beach and parks – all within walking distance from our home. 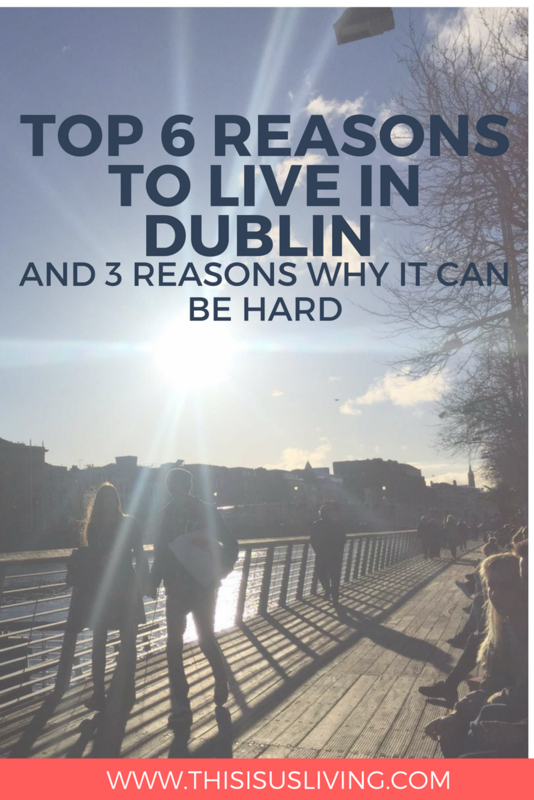 But there are 3 main reasons why living in Dublin can be a challenge. 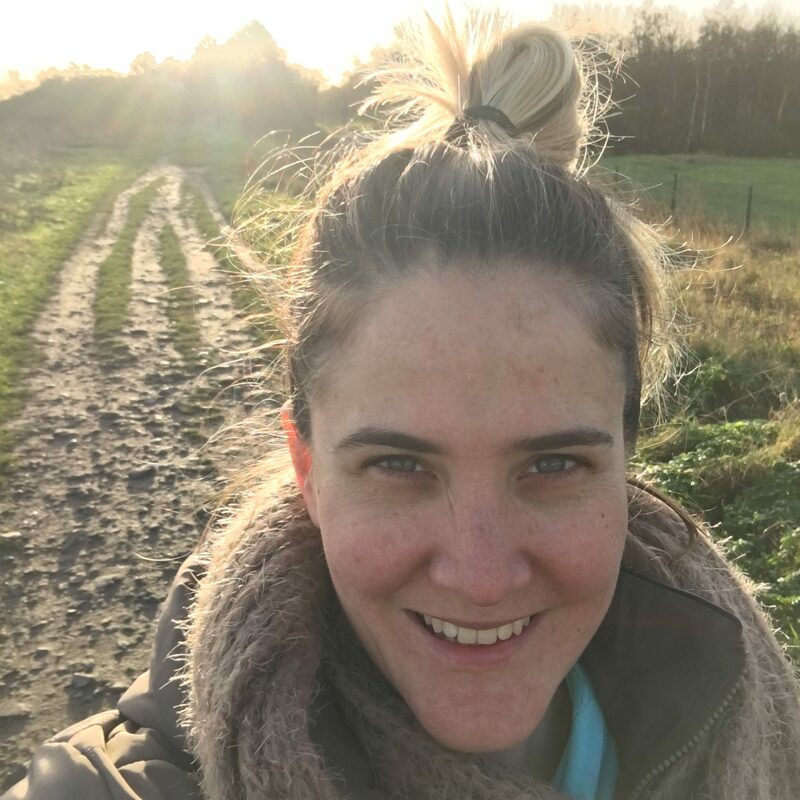 I don’t like to be super negative on the blog, but a lot of my readers follow this blog with the hopes of one day moving to Ireland, so I feel its only fair that I raise a few of the reasons why living in Dublin can be hard too. Rent is astronomical: It is more than just expensive; finding a spot that won’t cost you an arm and a leg and one of your kidneys is a real challenge. That is not to say it can’t be done, I mean we did find a place, but there is a massive housing crisis here. Many of the good spots will go very quickly, and having a pet makes it an extra challenge. Finding a job can be a slow process: If you read any of the irish papers, they all talk about how the job market is booming. Loads of groups I am in will say that there are tons of jobs available – new job openings every day. But I don’t think that is entirely true for all people and all industries. For many expats I know, work permits make it longer process to finding employment too. The litter is out of control: I wish i could say its because we live in the city but its on the beaches, and in the parks. I drive out through the suburbs on my way to work every day and I can’t tell you how many people i have seen blatantly littering, or not picking up their dog’s poop! Litter is a huge issue here and it seriously bums me out. WHAT IS YOUR FAVOURITE REASON FOR ENJOYING LIVING IN YOUR CITY?